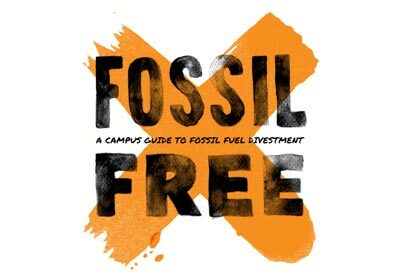 Fossil fuel divestment campaigns have been making the news as more people have been asking their University endowments, and local governments to remove investments from fossil fuel companies. Excited by announcements by other Oregon cities like Portland and Eugene, and counties such as San Francisco County, 350 Corvallis started a Benton County fossil fuels divestment campaign. A group of us drafted a resolution and sent it to our county commissioners. Like many other cities and counties of similar size, Benton County doesn’t directly handle their investments. Rather the money that they have invested is handled through state agencies such as the Oregon Investment Council and PERS. The resolution we submitted was more or less a statement that the county is in favor of fossil fuels divestment and would encourage these other institutions to divest. Toward the end of August we got the news that they had signed a resolution. Our original resolution had been modified, and it become a resolution for “Investment in Climate Friendly Energy Companies”. I am happy that Benton County sees the value in moving towards clean energy and I think the resolution is a positive statement. However it is no longer a divestment resolution, as we had hoped it would be. So for now we at least have the county acknowledging that their investment choices matter, and this is a good first step. It’s time now for the Benton County Divest campaign to regroup and decide what the next step should be.